Greer Pentland is having a challenging year. Her teenaged son, Sam, is on trial for the murder of two senior citizens, a crime allegedly committed while he was sleepwalking. Greer is also battling breast cancer, a disease that has left her with a litany of physical side effects and deep anger toward the incompetence of the medical profession. Yet, in the face of all these obstacles, Greer’s story is full of hope and delicious dark humour. 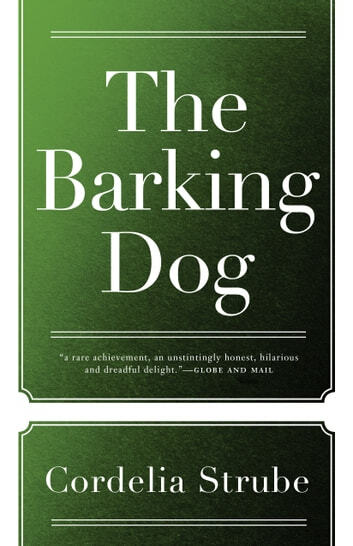 Her indelible strength is fuelled by her unconditional love for her son and the moral support she receives from her 88-year-old aunt, a chain-smoking, vodka-swilling, vitamin-popping senior whose continual commentary on the morbid news of the day is wickedly funny and provocative. This novel about one courageous woman’s fight to survive in a post-millennium culture gone mad is heroic, heart stopping, and affecting. 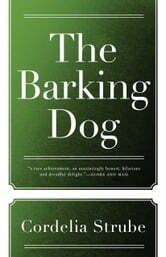 The Barking Dog, the fifth novel from Cordelia Strube, Canada’s pre-eminent writer of urban fiction, is an unforgettable portrait of modern life in these media-saturated, apocalyptic times. Greer is so honest she is vulgar! Murder, breast cancer usually depressing topics which they are here too, the compassion, humour and reality the characters portray had me laughing and saying yes thats it! Funny, sad, thought provoking. An emotional and engaging read. It will definately stay with me for awhile. I could not even finish it. i read the first 8 chapters and gave up. If it gets better I cant be bothered to find out.